Get outside and get ready for the best photo opp of the week downtown. We’re excited to be one of several businesses supporting the first ever Winter Carnival in downtown Sioux Falls. 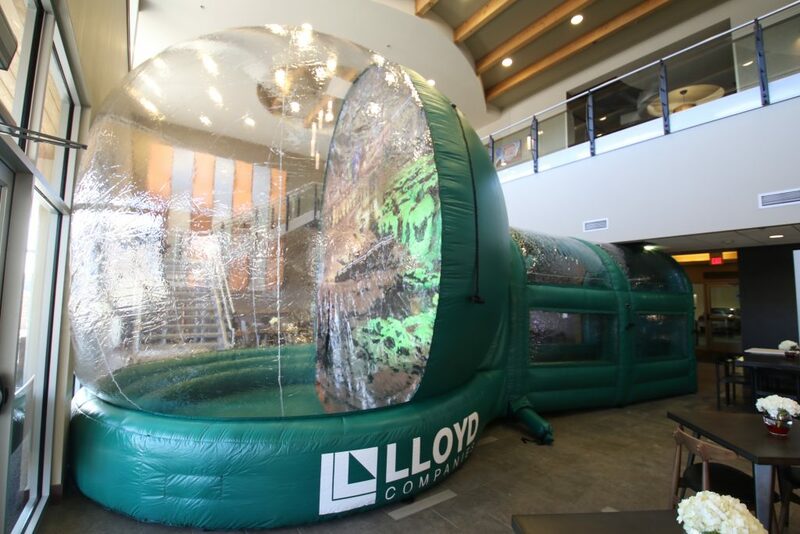 Lloyd Companies was happy to donate a massive inflatable “snow globe” that will find a home later this week outside our office headquarters in the CNA building across from 8th & Railroad Center. 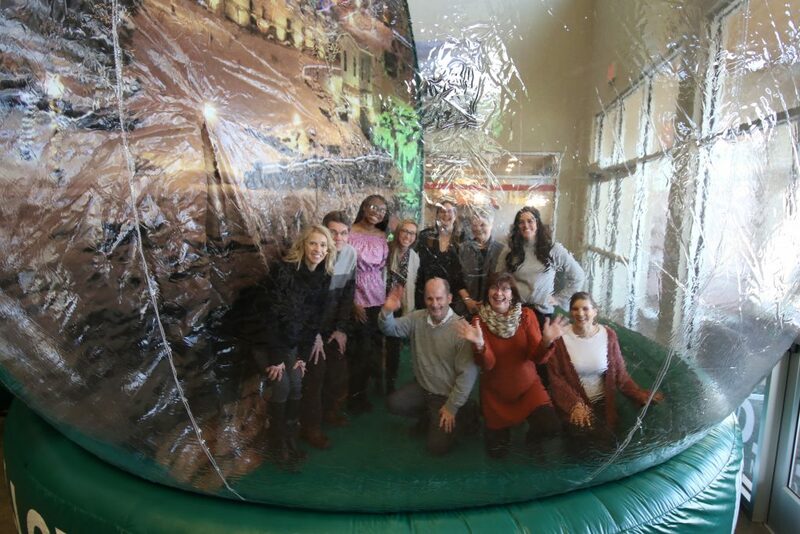 When we inflated it in our lobby to test it out, it reached the top of the staircase! “It’s gigantic,” agreed Mary Lloyd Huber, who helped coordinate our support of the Winter Carnival. Our friend and famed photographer Paul Schiller helped give the globe a Sioux Falls touch by allowing us to use one of his photos of Falls Park as the backdrop. 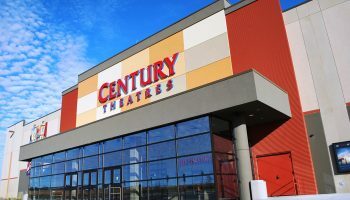 “So much of the activity at the Winter Carnival is centered around the 8th & Railroad area, including the ice rink and this weekend’s events and concerts, so we hope everyone will love the addition of the snow globe,” Mary said. But the Winter Carnival really is about giving back, and we’re stepping up to make that happen too. 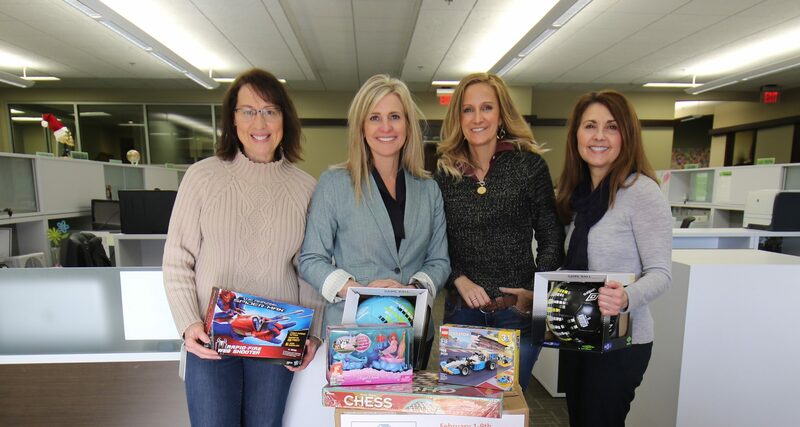 Our Lloyd Companies team enjoyed a company-sponsored potluck to kick off the week in return for contributions to The Boys & Girls Clubs of the Sioux Empire, which is coordinating the Winter Carnival. Our team can dress casually all week in return for donations of cash or items requested by the Boys & Girls Clubs. “They’ve already started to bring gifts in, and we hope to see it grow and see some nice donations,” Mary said.